We are a leading Manufacturer of lab equipments for petrochemical industry from Chennai, India. In order to satisfy the variegated demands of the client as well the market, we are involved in providing an excellent assortment of Lab Equipments for Petrochemical Industry. 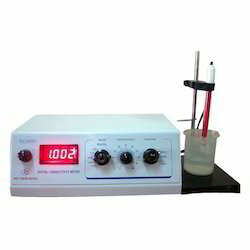 Our lab equipment is acknowledged among customers owing to its less maintenance. This lab equipment is developed by utilizing premium grade material and leading technology as per the set norms of quality. Also, our offered lab equipment is available in diverse specifications as per the needs of customers.